"The essence of mathematics lies precisely in its freedom." 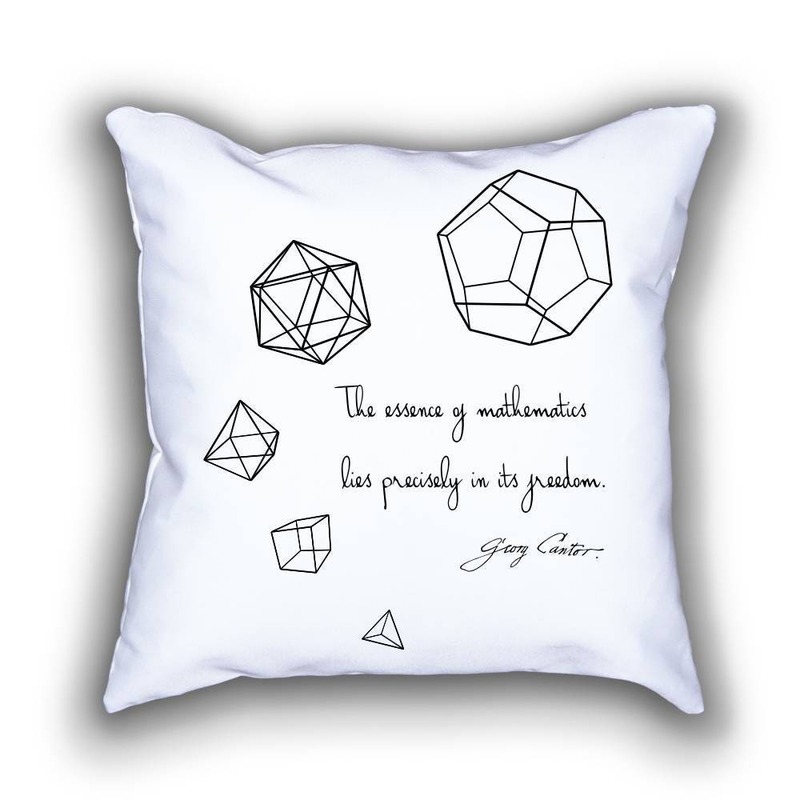 Georg Cantor (1845 – 1918) was a German mathematician, best known as the inventor of set theory, which has become a fundamental theory in mathematics. 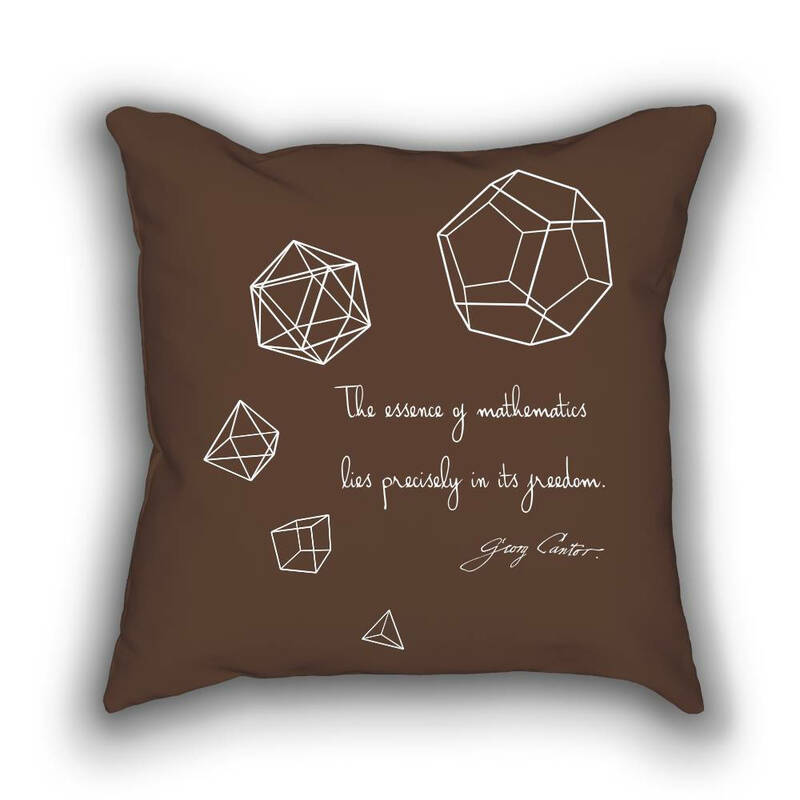 This elegant geometric design is composed of Cantor's simple and elegant quote on mathematics, plus the five Platonic Solids.